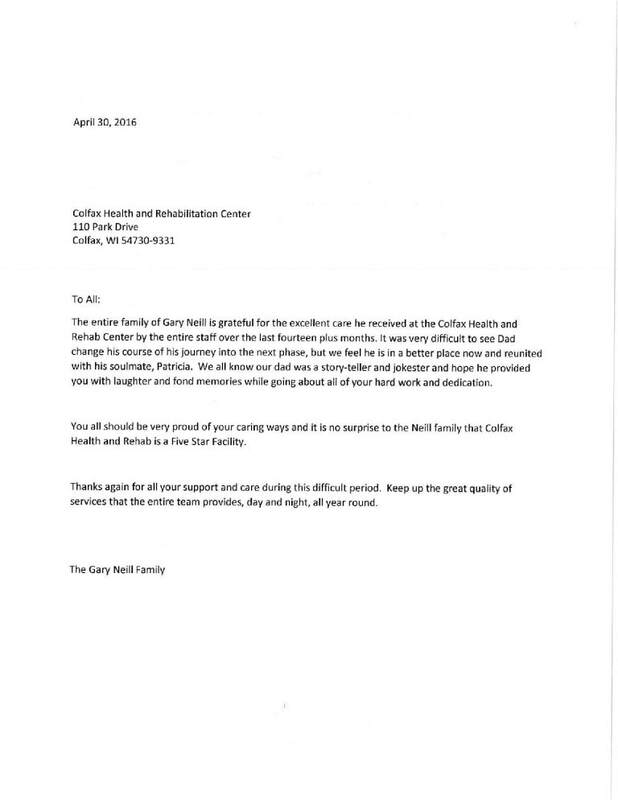 "The entire family of Gary Neill is grateful for the excellent care he received at the Colfax Health and Rehab Center by the entire staff over the last fourteen plus months....You all should be very proud of your caring way and it is no surprised to the Neill family that Colfax Health and Rehab is a Five Star Facility." We are know for our small, personalized atmosphere. We provide specialized programs in a homelike atmosphere to meet each individual need..